Natural Healthcare for all ages. Welcome to Walker Chiropractic and Wellness P.C. Call us at (515) 200-0020 today. Dr. Jacob Walker & Dr. Rebecca Walker are chiropractors serving Algona, Swea City and the surrounding area. 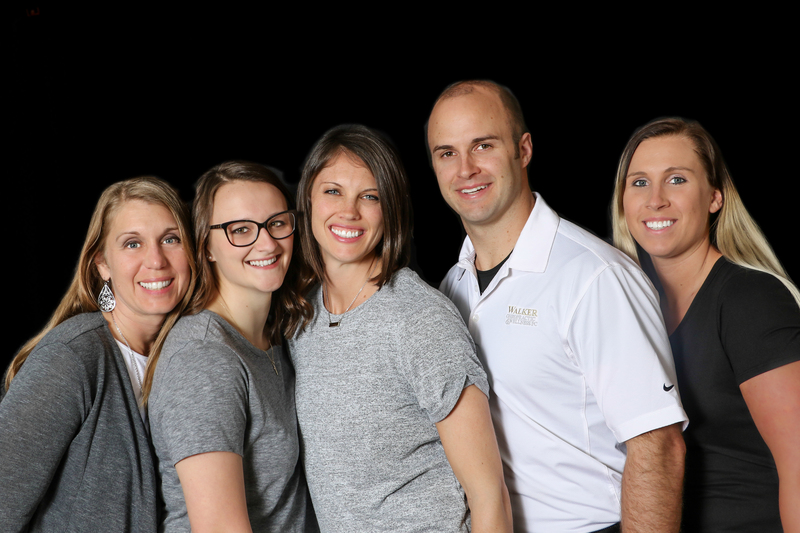 Our chiropractors and the rest of the welcoming team at Walker Chiropractic & Wellness, P.C. are committed to providing you with the best care. Dr. Jake and Dr. Becca provide hands on chiropractic care to address your unique needs, whether you are experiencing back pain, neck pain, headaches, muscular tightness and tension from a chronic condition or an episode that just began, the team invests time into your individualized care. If you are looking to improve your overall health, consider adding nutritional therapy, massage or acupuncture, along with chiropractic care, to help you attain your everyday wellness goals and overall well-being! At your first visit to Walker Chiropractic & Wellness, P.C., our doctors will explain how chiropractic care works and throughout a thorough health history and examination, determine if our office and chiropractic care are a good fit to address your needs. If there is a good fit, we can customize a plan of chiropractic care for your condition and health goals. If you have not been to a chiropractor before and want to find out more, please call (515) 200-0020 to receive the answers to your questions from our experienced team. We also welcome referrals, so we invite you to share our chiropractic and wellness information with your friends and loved ones. For more information or to schedule an appointment with Walker Chiropractic & Wellness, call (515) 200-0020 today! Dr. Becca grew up in northern MN and was very active in sports and outdoor recreation. Through her passion of living an active lifestyle, she pursued the career of chiropractic with education from Northwestern Health Sciences University. Her passion was to care and serve others, with a goal to bring her community and patients the closest to their optimal health and well being, by ensuring proper joint movement, nutritional education and overall mind body wellness. Dr. Becca is gifted and educated in diagnosing and caring for individuals with many various symptoms, including migraine headaches, low back pain and neck pain that may be interfering with an individual's overall well being. She is dedicated to empower the individual to make lifestyle changes, by educating them throughout their care on the intricate connections of the body. In addition, to her doctorate of chiropractic, she has obtained her diplomat in functional neurology, allowing her to assess and care for the individual from the brain down. Our nervous system, the way we move and live, is orchestrated with a constant communication from brain and body. Dr. Becca evaluates possible levels of decreased communication and, through various brain based exercises and specific adjustments, she is able to increase well being and help manage daily living in individuals who have suffered concussions, have chronic pain and other various neurological conditions. When she isn’t at Walker Chiropractic & Wellness, she enjoys being active with her husband, Dr. Jake, and daughter Madi, traveling, reading and coaching CrossFit. Dr. Jake grew up in Algona, IA. Through an active lifestyle in various sports, he frequented the chiropractor and understood the benefits of care to move optimally. In pursuing his passion, he is able to work with individuals in helping them reach their goals of getting back to their “playing field”. Dr. Jake met his wife, Dr. Becca and decided to move back to the community that supported Dr. Jake throughout high school. He is motivated to give back to his community, in caring for patients, educating them on healthy lifestyle and the benefits of chiropractic care, as well as being involved with Kiwanis and volunteering at various community events. In addition, Dr. Jake is board certified in chiropractic acupuncture, which he utilized as a great modality to care for many musculature complaints as a sole model for care or in conjunction with chiropractic. Dr. Jake’s passion for encouraging a healthy lifestyle shows immensely in his past time activities. When not at Walker Chiropractic & Wellness, you will find him playing with his daughter Madi, gardening his many gardens, or canning and cooking nutritious meals for his family. He also enjoys golfing, any and all lake and camping activities, coaching Crossfit and traveling with his family. Jill Sewick is the massage therapist at Walker Chiropractic & Wellness as well as the office manager. She is married to Brandon Sewick and they have two kids, Mason and Ava. They enjoy going camping, being outside, going on walks and spending time with our families. She became a massage therapist because she wanted to help others feel good and be relaxed throughout their activities at work and play. She believes getting massages help to manage your stress levels, pain, and muscle tension. Also everyone needs some 'me' time and a massage is the perfect way! "Drs Becca and Jake are colleagues but they are also some of the best chiropractors I know. There's been a number of times where I've had various complaints and Dr Becca is exceptionally thorough and knowledgeable in neurology. It's amazing how quickly the brain changes with the right input. 💜Honored to call them my colleagues and friends!" "2 sessions on my neck has the pain gone and I am back at 100% now. I recommend the services here. Thanks Dr Jake!" "Friendly staff and many services offered! I did the blood draw test there that tells you what foods cause you inflammation and how to reverse that. I’m one month into cutting out inflammatory foods and have lost 10lbs without changing anything else. I counted calories before and I am still eating the same amount just not the ones that cause me to be inflamed. And I have actually been exercising less." "Last year after a horse riding accident, I discovered that I have a Chiari brain malformation. After having decompression surgery, I heard about Dr. Becca and decided to see if she could help me. Along with my Chiari, I had pain in my shoulder from the horse accident and very minimal use of my right arm. Before going to Dr. Becca, I was not able to do much and was in constant, extreme pain. My main issue was my Chiari, but there was a lot of pain in my shoulder and I had been taking short, shallow breaths to help with the pain without even realizing it. I missed out on a lot of fun activities that I wanted to do, but physically could not. Since Dr. Becca has been helping me, I have been able to do activities that I thought may never be possible for me again. Dr. Becca has given me exercises to do at home that are Chiari-friendly to help improve my overall health. Dr. Becca has been a true blessing, as she has improved my quality of life so much and has allowed me to live my life again." "My first time going to a Chiropractor and was very nervous not knowing what to expect. Becca made me feel comfortable and listened to my concerns. So glad I made the decision to go to Becca! Thumbs up!"